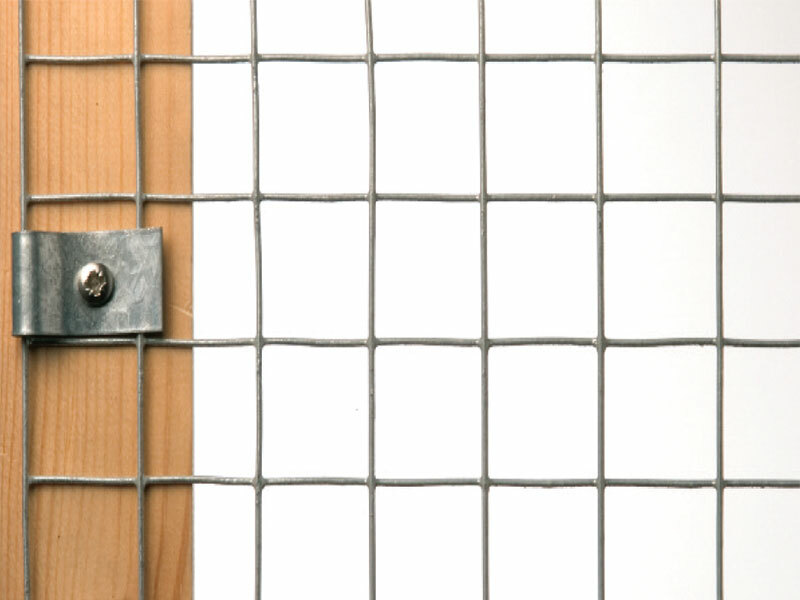 Where nets are in easy reach of the public or a tensioned wire system cannot be attached, Weldmesh can be used. Weldmesh can fixed by either weldmesh clips with hole(NET057) and self-drill screws or weldmesh clips without a hole(NET058) and a cartridge nail gun. Sparrow mesh is 25mm x 12.5mm 1.63mm thick (16 gauge).